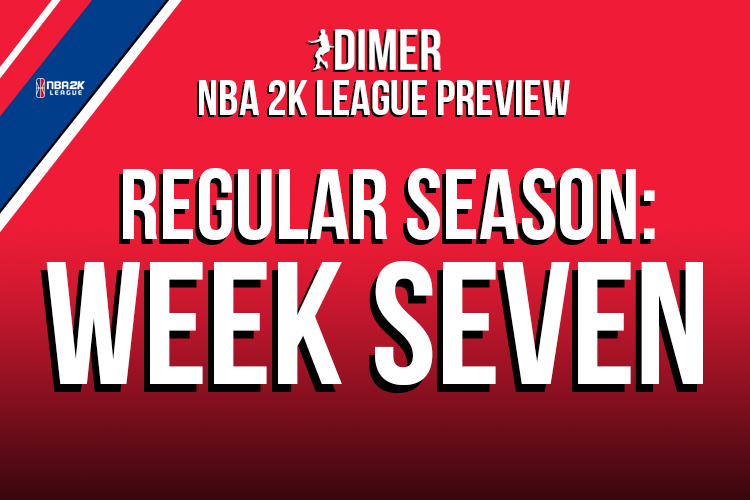 Week seven of the NBA 2K League is upon us, and boy is it an important one for some of the teams that want to be playing meaningful games in August. As we march on through the regular season and the remaining number of games dwindle down, it will start to become clear which teams are true contenders and which teams are pretenders. And that’s why we’re focusing on the most important matchups of the week. These are the ones that will have the most impact when it comes to playoff chances as the league tries to sort its top eight teams out. So while Blazer5 Gaming vs. CLTX Gaming will certainly be a game that everyone is going to be looking forward to, it’s not as important in the grand scheme of things. But here are four matchups that could potentially make or break a team’s season. All records listed are for the regular season only. If every game in the NBA 2K League is a must-win game, this is a must-win game for Knicks Gaming. A two-game losing streak has seen them plummet down the standings all the way to 15th and ahead of Grizz Gaming only on point differential. While I’m reluctant to count any team out of the playoffs just a little over halfway through the season, it’d be safe to say it would take nothing short of a miracle for the Knickerbockers to make it into the top-eight if they drop to 2-6. Even if they do lose this one, they have a shot at redemption on Saturday with a matchup against Grizz Gaming, but let’s just say morale wouldn’t be sky high if they went into that one on a three-game skid. For Cavs Legion GC, a loss would still have them firmly in a playoff spot, but in this league, it’s best to put as much distance between yourself and the middle of the pack as possible. It’s also important not to underestimate the struggling Knicks. A lineup change is brewing in New York, and that means anything can happen. This could be a trap game if not taken seriously enough. Two teams also on skids of their own. Magic Gaming have dropped their last two while Kings Guard have lost three in a row. That puts both of these squads at 3-4, with no guarantees of a playoff spot while sitting in the logjam that is the middle of the league. When these two met in the first round of THE TURN, it was a double-digit win for Magic Gaming. But this Kings team could be desperate enough that they’ll come out firing on all cylinders. I’ve said time and again that if you’re somewhere in the middle of the league, it’s because you’re inconsistent. All it takes is one bad team performance and either of these teams could be on the outside looking in on the playoffs after this week is over with. Two (former?) bottom-dwellers on the upswing and full of confidence and momentum. A lineup change in Indianapolis has sparked a franchise that looked lost for the first four weeks of the season. In Milwaukee, an ugly 1-4 start hasn’t deterred Bucks Gaming, who are riding a two-game win streak—just like Pacers Gaming—and are suddenly very much in the playoff mix. The stakes are obvious: the winner of this one will get a crucial jump start in their quest from zero to hero. A loss will be a devastating blow to those ever-important playoff chances. It’s especially important for Pacers Gaming, whose schedule from here on out is much more challenging than the Bucks’, who suffered from a brutal schedule of their own to start things out. Needless to say, both of these teams know what this game means if they want a shot at the title in August. Two teams trending in very different directions. Raptors Uprising is flying high, and the team that was once 1-5 seems to have a new lease on life with two straight quality wins against Kings Guard Gaming and Wizards District Gaming. The move of AllHailTrey to power forward has been a spark to an offense that used to not be sure what it wanted to do. Kenny has finally settled into his role within the team. It suddenly seems like the Raptors can claw their way back into the playoffs. On the other end is Pistons GT. They, uh, didn’t have such a good week six. You can hear more about it in this new and totally exciting podcast, but the gist of it is they took two horrendous losses that were horrendous for different reasons, dropping them from 4-1 to 4-3 and leaving people like myself wondering just where this team stands within the NBA 2K League microcosm. In the end, I believe they’ll be just fine, but it’s certainly no guarantee with the way things go in this league.